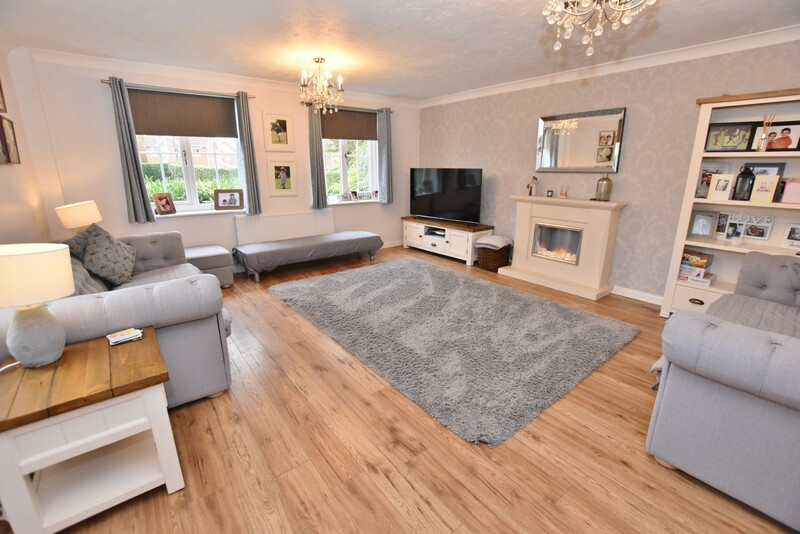 This amazing family home is positioned in a private driveway with only one other home and has a superb front garden with gorgeous oak tree and plenty of area for the children to play as well as parking. The current owners have carried out extensive works in the property which include a garage conversion, newly fitted contemporary kitchen, new heating system, low maintenance astro lawn at the rear and full redecoration. The front door leads to the entrance hall which has stairs to the first floor and doors leading to all rooms including the under-stairs storage cupboard. 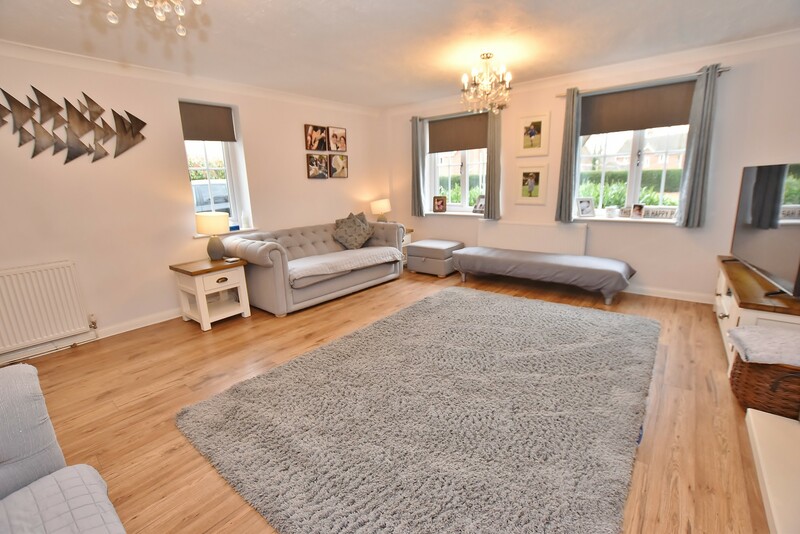 The large lounge is positioned at the front of the house and has double aspect windows allowing plenty of natural light in to the room and the home office is next to the front door and currently provides enough space for a home business. The original dining room is used as a further lounge and games area with a door leading to the conservatory and an opening to the kitchen. 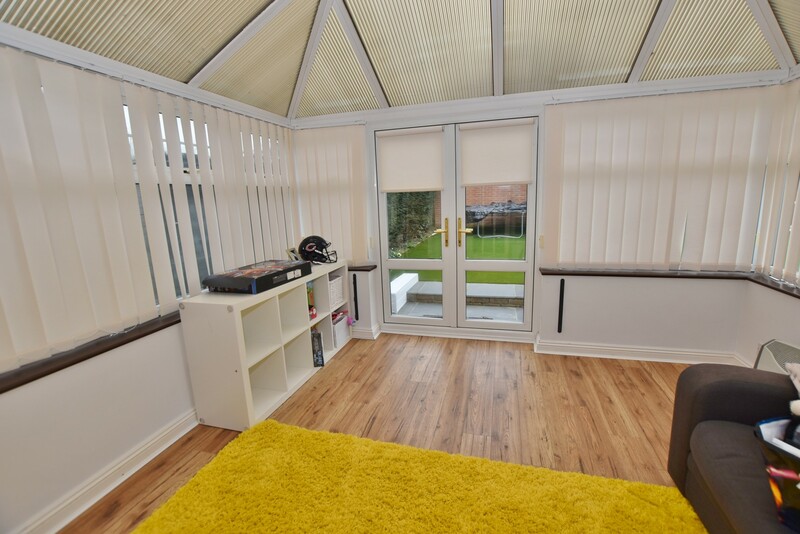 The conservatory is double glazed with surrounding windows and French doors leading to the rear garden. 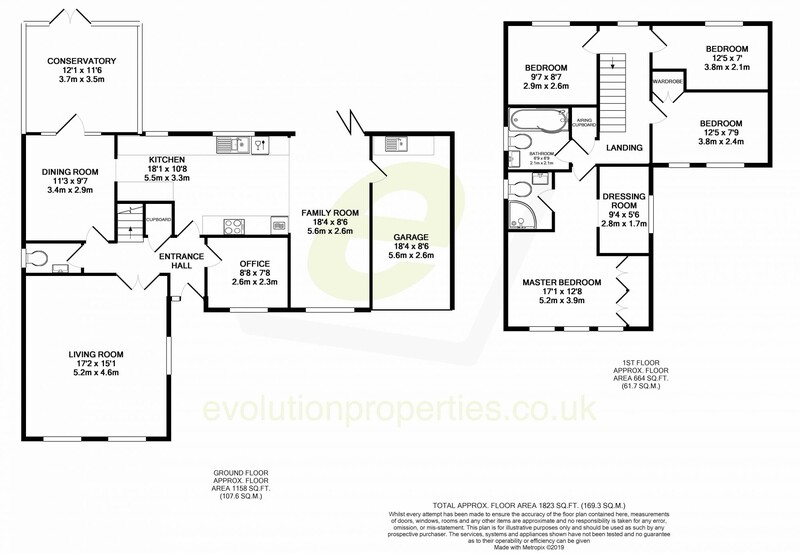 You will discover that the kitchen really is the heart of this family home with an ideal study area, contemporary wall and base units, built in dishwasher, induction hob with extractor over and double oven with microwave over. There are superb bi-fold doors opening to the rear garden allowing easy access to enjoy all of the space as the whole room is open plan with space for a family dining table to the rear and seating and TV area to the front with an access door leading to the garage area which has an up and over door to the front and utility plumbing at the rear. Throughout the ground floor you will find wood effect flooring with carpets to the main first floor areas. On the first floor landing there is a window to the rear and doors leading to all 4 of the bedrooms as well as the family bathroom. A superb master suite is positioned at the front and has a lobby with archway to the main bedroom as well as providing access to the dressing room and en-suite shower room. In the bedroom you will find 2 double wardrobes as well as 3 feature front facing windows and the dressing room has a window to the side with 2 fitted hanging rails. This room was originally bedroom 5 and could easily be converted back or used as a nursery. In the en-suite shower room there are tiled walls and a modern white suite with walk in shower cubicle. The family bathroom has matching tile work and also benefits from a modern white suite with shower and screen over the bath. Bedroom 2 is also at the front and has a built in double wardrobe and bedrooms 3 & 4 are at the rear overlooking the garden. This superb property is accessed via a 5 bar gate entrance to a private driveway which is shared with number 1 and also has a large from lawn with hedge surround and a mature oak tree. There is multiple off road parking with flower and shrub borders and pathway leading to the front door. 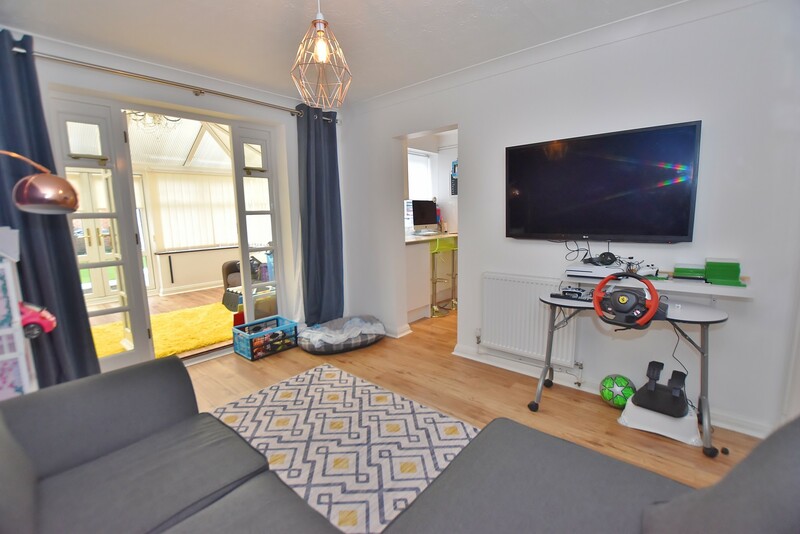 At the rear of the the property is a good size garden which has been landscaped with a slate based patio area stepping up to a level lawn area which has been laid with astro turf in 2017 and benefits from the remainder of a 10 year guarantee. 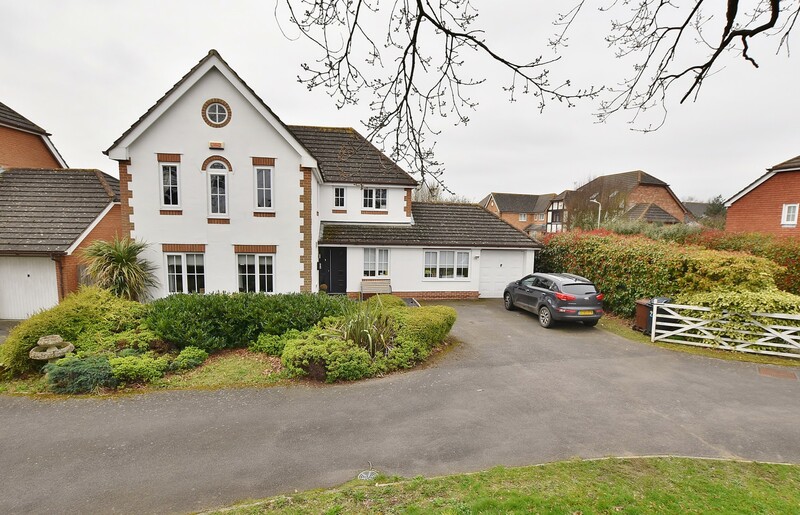 Primrose Drive is considered to be one of the most sought after cul-de-sacs in Park Farm and is ideally positioned to provide access to local schools. bus stops, Tesco supermarket as well as some amazing countryside walks and local parks. This property really needs to be viewed internally to fully appreciate all that is on offer so call or email us today to book your viewing!